The genuine excitement at discovering something delicious and wholesome happiness when finding exactly what you want; delight at the chance to relax in unexpected, beautiful green spaces: this is the Jem® experience. Jem® is not just about today; it's about today's impact on the future. As a BCA Green Mark Platinum mall, we make a huge effort in creating a sustainable and enjoyable environment for the community. From the beginning, we were determined that development of a great shopping and working experience should not be at the expense of tomorrow’s environment. We knew that there could be no here-today-gone-tomorrow attitudes when dealing with the delicate balance between a community, a building that holds its heartbeat and the environment that gives it strength. There is even more to Jem® than meets the eye, and we invite you to explore behind the scenes of your eco-friendly mall. Anyone who has ever tried to build their dream knows that there is a big leap between having the idea and bringing the idea to life. Building with tomorrow in mind means using environmentally friendly methods and materials. Jem® is among the first developments to lead the rejuvenation of Jurong Gateway. We have embraced construction methods that pave the way for a better future, a sustainable future. The Jem® Method is about saving resources. During construction, we reduced the use of cement by 20%. This will only mean something to you if you know that the production of cement and concrete puts a great strain on the environment. 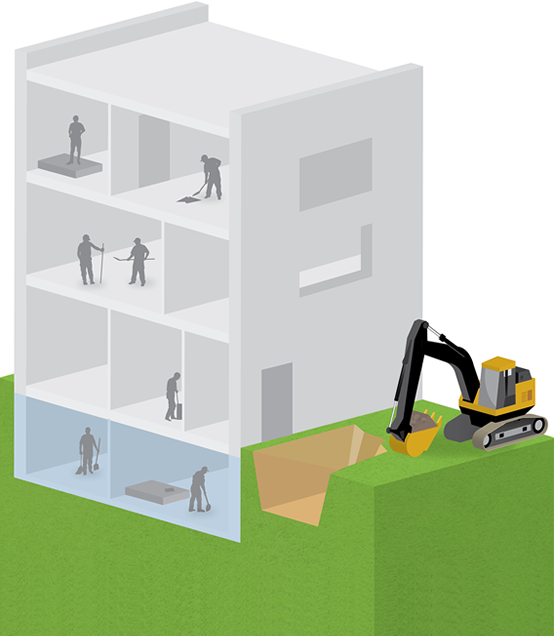 In the construction industry, it is the second most consumed product after water. It is highly energy intensive: the processing and transport of cement uses a lot of energy, and emits high levels of carbon dioxide and other greenhouse gases. Jem® pulled it all together with a future-forward building technique that saved resources like wood by foregoing wooden shuttering in favour of Bondek, which acts as both the formwork and a structural component. Administered by the Singapore Environment Council, the Singapore Green Labelling Scheme (SGLS) endorses consumer products and services that have less undesirable effects on the environment. These are the products we used to build Jem®. Conventional building takes longer because formwork must be built and broken down, uses more cement as temporary slabs must be laid, and presents more safety risks for builders when these temporary structures are removed. Green is our first principle of design, something you will appreciate even from afar. With sky terraces that wrap every alternate office floor creating beautiful walls of green, this building is easy on the eye, a refreshing sight in your rapidly re-developing suburban landscape. But it's when you visit Jem® that you will truly feel the difference. We invite you to relax in the cool interior, safely buffered from traffic noise by walls of absorbent greenery, rejuvenated by breathing the naturally filtered air that circulates through the building, and inspired by beautiful gardens. With green spaces and earth-friendly features Jem® is a breath of fresh air, a living garden in the Jurong neighbourhood for all to enjoy. 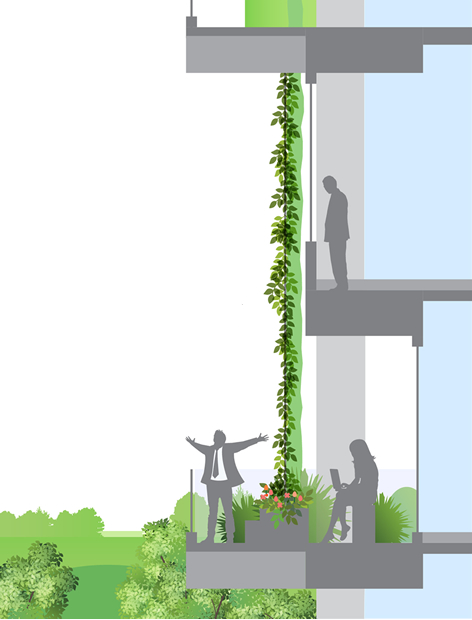 with trees and flowers bring park-life right to the doorsteps of people's workplaces. Rainwater is harvested for irrigation and the flushing system. At Jem®, we owe it to the community to provide facilities that help reduce its water footprint. Taking measures to monitor and reduce our water footprint will preserve our H2O resources. Downstream benefits of a reduced water footprint include less strain on water treatment plants that serve the Jurong communities, and less energy used to treat the water. In a country with abundant rainfall, water may seem plentiful. In reality, Singapore’s water resources are limited. We rely on local catchment, recycled NEWater, imported water from Johor and desalinated water to quench a national consumption that has increased 10 times in the last 50 years. Waste water is reduced with the most efficient water fittings and irrigation system. As a responsible corporate citizen, our goal is to reduce water consumption at Jem® to the volume of about 100 Olympic-size swimming pools (or approximately 250,000 cubic metres) every year. Besides installing extensive water sub-metering to rigorously monitor water usage behaviour, how will we do it? // NEWater is used in our cooling towers and flushing systems. Produced by PUB, Singapore’s national water agency, NEWater is high-grade reclaimed water. Primarily for non-potable industrial uses, NEWater frees up potable water for domestic consumption. // Recovered water cools the air, going through cycles of condensation at the cooling towers. Our energy efficient cooling system ensures consistent indoor conditions for maximum thermal comfort. Have you ever wondered just how much power is needed to make a building as large as Jem® comfortable, cool and light? Armed with the knowledge that buildings account for around 40% of the energy consumed worldwide, we made energy conservation first priority at Jem®. This building packs a punch. Special features such as a highly efficient air-conditioning system, regenerative lifts and extensive use of LED lighting will make it possible for Jem® to cut down energy consumption by about 13GWh annually. This is equivalent to that which is generated by about 2,400 public housing apartments each year. With natural daylight pouring into offices on the perimeter of the floor-plate, the need for artificial lighting is reduced. With energy, a little thing can go a long way. We installed tiny sensors to slow the escalators when there is no one on board, and move again \ at normal speed when someone steps on. 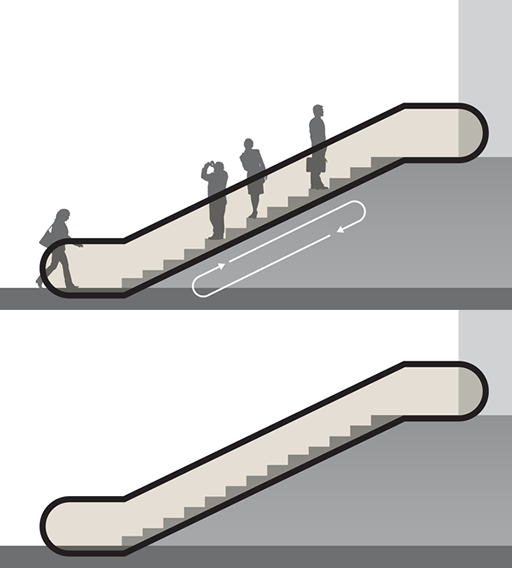 Why not stop empty escalators altogether? Because it takes more energy to re-start. Energy recovery systems turn the lifts at Jem® into real energy savers, using the energy of the lift going down to power the lift going up. Keeping cool is a high priority, but it shouldn’t come with a high price tag. To keep energy consumption low, Jem® has invested in Singapore’s first high efficiency, multi-tier chilled water plant system. The chilled water it delivers improves air conditioning efficiency by 25% over BCA Green Mark’s baseline, Singapore’s benchmark for measuring sustainability in the built environment. Jem® is an intelligent building, employing a 2-stage fresh air treatment system to create a consistent, healthy indoor environment. 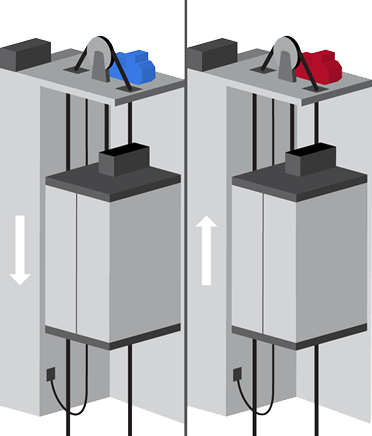 The ACMV system regulates temperature and humidity independently, preventing over cooling to maintain humidity or vice-versa. This separation results in significant energy savings. 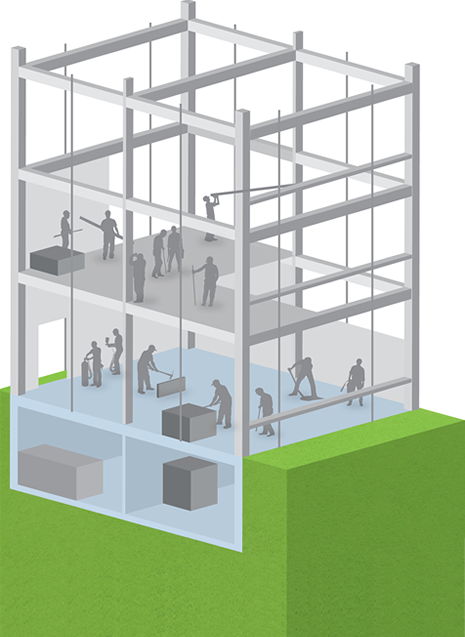 Wherever you are in the building, Jem® keeps you comfortable at 24oC, +/- 1 oC, with humidity of less than 65%. cutting decomposition time from 4 weeks to just 24 hours, our on-site eco-digester recycles food waste into water. This means less chance of vermin such as rats, less waste going into incinerators and landfill, and less air pollution from incinerators. 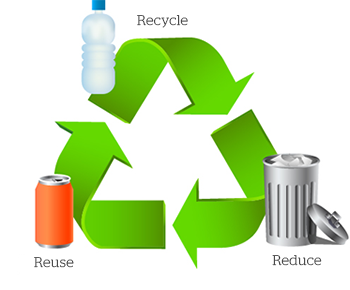 Recycling is a team effort at Jem®. A healthy planet is a sustainable planet. This includes good, clean air. We’d like to keep it that way, which is why we insist that tenants at Jem® use low VOC products for their fit-out. Manufactured products like paint, adhesives and cleaning materials give off Volatile Organic Compounds (VOCs) that may cause us harm. VOCs are typically not acutely toxic, but instead have compounding long-term health effects. Because the concentrations are usually low and the symptoms are slow to develop, research into VOCs and their effects is difficult. VOCs can cause anything from mild eye irritation, nose and throat discomfort, headaches, allergic skin reactions, nausea, fatigue and dizziness to liver and kidney damage and even cancer. But we are not taking the chance. In order to reduce and control indoor air pollutants, Jem® uses low VOC products, from construction materials to the cleaning products used to maintain the mall. Jem® has brought green ribbons, leafy nodes, sky parks and lush terraces to Jurong, giving everyone the opportunity to be rejuvenated by the beauty of nature. At Jem® a breath of fresh air is just a few steps away. A multi-level landscape integrates retail and office areas. The Sky Garden on Level 5 is a landscaped garden with play areas, promenades and viewing platforms. The Green Connector on Level 6 gives office workers a pleasant, leafy walk to Jem® for lunch. No sharp or protruding corners or edges are proposed on external seating. Trees with low branches are not planted along main walkways to minimize hazard to the visually impaired. Floor surfaces are stable, firm, slip-resistant and durable. Jem® is all for transforming into the best you can be, and having fun along the way. Playtime is about giving your imagination the chance to explore new worlds and delight in the new games you have thought up. Inspired by “The Island of Singapore”, a popular children’s story about mythical sea creatures in which two mermaids are transformed into mudskippers after straying from their kingdom’s borders, the Jem® Play area is the perfect place for kids.